Anglim’s Western Metal Works is proud to serve New Mexico’s many industries, providing quality metalworking services for the region’s mining and drilling operations. We have the tools and know-how to ensure the job is done right every time. We are equipped to handle heavy plate fabrications and other specialty services required by the mining industry. 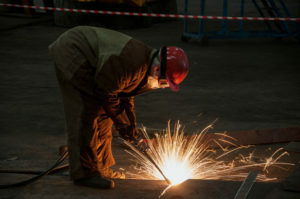 The massive scale of mining equipment poses a unique challenge for welding and fabrication jobs – and because safety is a crucial concern, structural integrity is a necessity. That’s why we approach every job with the level of quality and attention that sets us apart from the competition. You can contact us for more information or to see examples of our previous work and judge for yourself whether Anglim’s Western Metal Works is right for your project! Call 505.822.9170 for more information about our welding services.